Long hours, high pressure and facing the heat on a hot stove are common, but these dynamite chefs show they have what it takes to power through and get to the top. Today is International Women's Day, celebrating the cultural, social, economic and political achievements of women around the world. We want to thank and honor the following championed chefs—a mere drop in the culinary world bucket—for overcoming obstacles and taking their restaurants to top-tier status, becoming both heroes and role models for chefs of the past, present and future generations to come. Anne-Sophie Pic is third-generation chef/owner of the eponymous restaurant housed in boutique hotel Maison Pic in Valence, France. Steeped in history, Pic first earned three Michelin stars back in 1934. After her father’s death in 1992, the restaurant lost it’s third star. Determined—and with no formal training—Anne-Sophie took the kitchen reins in 1997; the restaurant regained three-Michelin-star status a decade later and continues to be an exemplary fine-dining establishment. Though she continues the attention to detail and quest for perfection practiced by her father and grandfather, her stints in America and Japan have given her approach to food a more delicate touch. 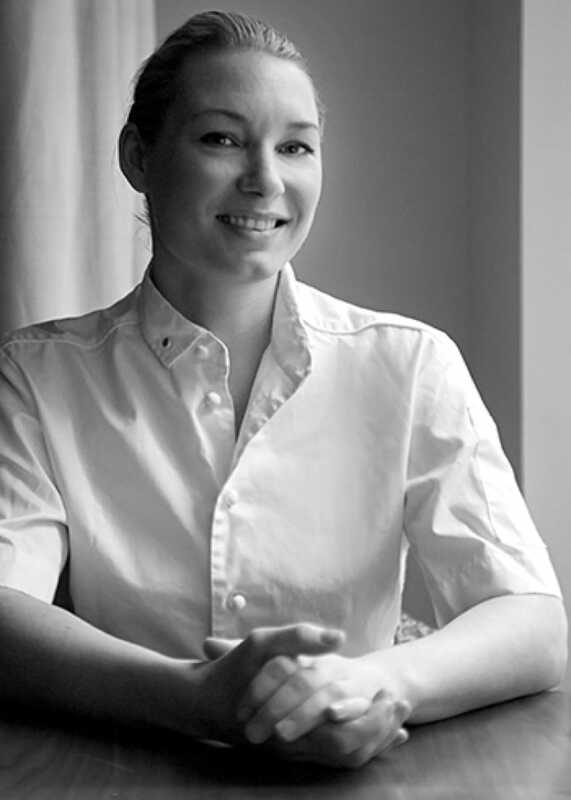 Anne-Sophie also owns three other restaurants, two-Michelin-starred Restaurant Anne-Sophie in Lausanne, Switzerland, and one-Michelin-starred Le Dame de Pic, which has locations in Paris and in London. As the fourth-generation successor of three Michelin-starred restaurant Arzak in San Sebastián, Spain, Elena Arzak runs a tight ship together with her 74-year-old father, Juan Mari. Having trained at top restaurants such as at La Maison Troisgros, Le Louis XV under Alain Ducasse, Restaurant Pierre Gagnaire and elBulli, Elena now continues her father’s style of modern Basque cuisine, a refined take on traditional Northern Spanish fare such as meats and fish grilled over coals and hearty lamb stews. Her playroom is a laboratory above the restaurant, where she and the kitchen team work on innovative ideas to intensify the flavors in a dish. Imagine, for instance, freeze-drying mussels and creating a powder for a deep umami hit. 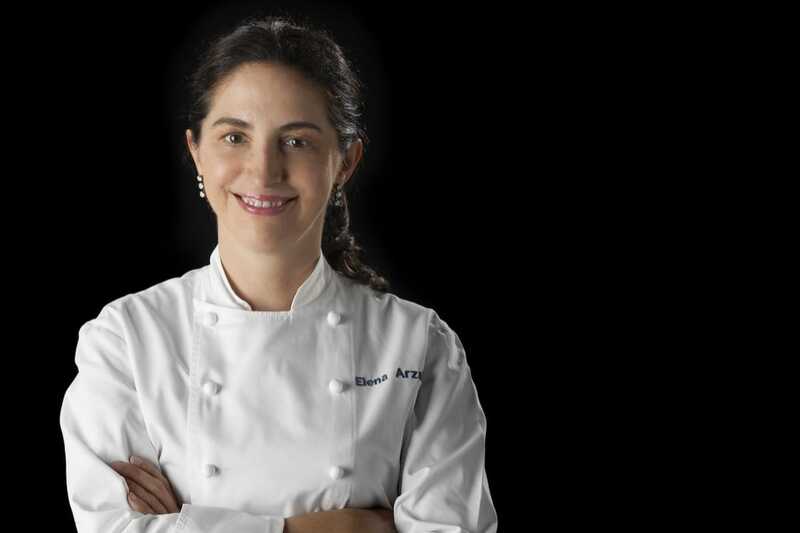 Under her leadership, nearly three-quarters of the chefs in the San Sebastián restaurant are women. The French-born Annie Féolde is the first Italian woman to lead a restaurant—Enoteca Pinchiorri—to achieve three Michelin stars. While her husband looks after the wine cellar—the restaurant is well-stocked with over 70,000 bottles—Féolde holds court in the kitchen, serving Tuscan cuisine with a modern twist in the heart of Florence. Spelt soup, for instance, is served with a skewered red prawn wrapped in Parma ham and a bay leaf. Bengtsson’s experience is vast, working in many of Sweden’s acclaimed restaurants—the now-defunct Edsbacka Krog in nearby Sollentuna, the historic Restaurant Prinsen and Operakällaren located inside Stockholm’s Opera House. Bengtsson joined Aquavit as executive pastry chef in 2010; four years later, owner Håkan Swahn offered Bengtsson the role of executive chef; that same year, the restaurant earned it’s second star, making Bengtsson the first Swedish female chef in the world to achieve the accomplishment. Though Dal Pescatore, a traditional Italian bistro in Runate, Italy, has held three Michelin stars since 1996, few would believe head chef Nadia Santini never went through formal culinary training. The chef, who has said to have inspired younger chefs like Clare Smyth and Anne-Sophie Pic, holds vivid memories of being in the kitchen with her mother, as well as learning recipes and techniques from her husband’s grandmother. Santini has since refined the “mama’s cooking” style; dishes available all year round include tortellini di zucca, agnolini in brodo and anguilla alle braci. When Luisa Marelli Valazza and her husband, Angelo, bought the restaurant in Soriso, Italy, in 1981, they didn’t count on the former head chef to throw in his apron and walk out on them. But the pair quickly rallied and worked together to achieve a Michelin star within their first year of taking over. Not many chefs can hold their own against Gordan Ramsay, much less earn a sincere compliment from the man himself. 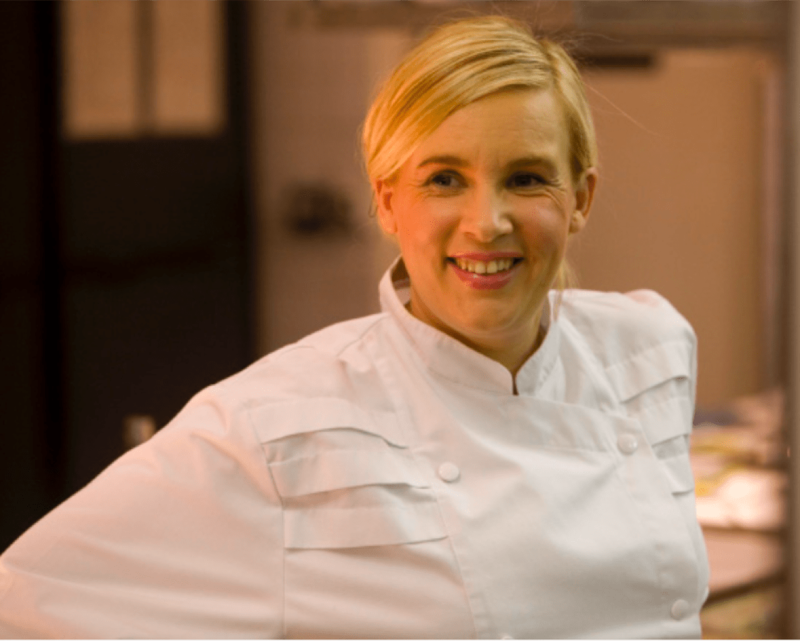 The Northern Ireland native, Clare Smyth, checks both boxes, with Ramsay calling her “the most prominent female chef of our generation” in a recent interview with Evening Standard. Smyth took over Ramsay’s eponymous restaurant along Chelsea’s Royal Hospital Road in 2007, and maintained its three Michelin star status until she departed in 2015. 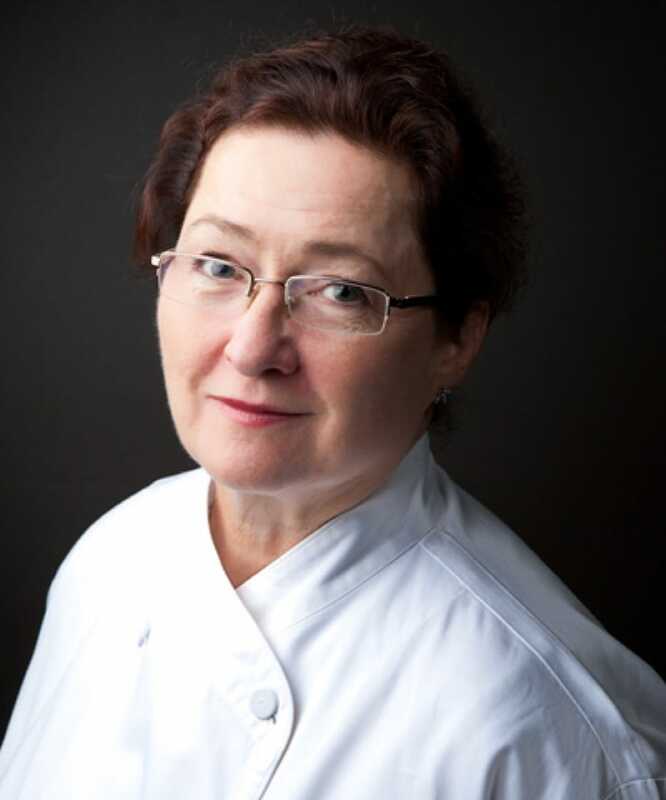 Smyth opened her 60-seater restaurant in Notting Hill in the summer of 2017 and was awarded two Michelin stars in the MICHELIN Guide Great Britain and Ireland 2019 selection. Hélène Darroze is a chef who plays by the rules—of the seasons, that is. Growing up with parents who ran a one-Michelin-starred restaurant in the small town of Villeneuve-de-Marsan in France sparked her commitment to using only the best produce, such as local white bamboo shoots and foie gras. Darroze’s first stint at a restaurant was under acclaimed chef Alain Ducasse, who spotted her talent and encouraged her to work in the kitchen. 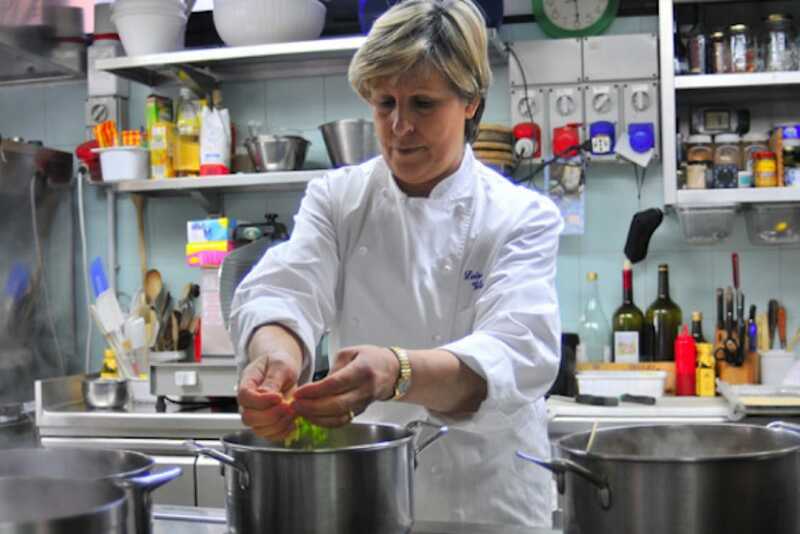 Today, Darroze owns three restaurants, including two-Michelin-starred Hélène Darroze at The Connaught in London, and her one-starred eponymous restaurant in Paris. The Versailles, France-born chef, who flew under the wings of Jeremiah Tower at the venerable Stars in San Francisco, is known for her bold and creative culinary techniques at her three-starred Atelier Crenn in the Marina neighborhood in the Golden Gate City. Describing her cuisine as “poetic culinaria,” Crenn is an unstoppable force to be reckoned with, continually championing her fellow female chef comrades in the midst of changing the Bay Area’s dining scene with her one-Michelin-starred Bar Crenn, as well as the forthcoming Boutique Crenn in the 61-floor Salesforce Tower. Gresham first found her passion for the culinary arts while planting vegetables and fruits and learning the valuable technique of canning and preserving with her French grandmother in her hometown of San Carlos, California. Years later, she would assume a head chef position at the wildly popular The Donatello Hotel. In 1989, Gresham, with partner Giancarlo Paterlini, opened Acquerello in July of 1989. Known as one of the best fine dining restaurants in the U.S., Acquerello gained its first Michelin star when the guide arrived in the Bay Area in 2007, and earned a second in 2015. Emma Bengtsson portrait by Paul Brissman; Suzette Gresham portrait courtesy of Acquerello.